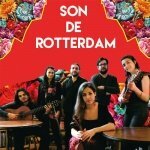 Welcome to the 10th edition of Stukafest Rotterdam! An awesome gig in the middle of unfinished homework, dirty laundry and empty beer cans, an intimate poem recitation underneath a bunk bed, or a singer-songwriter performing at a kitchen table… Each year, during the month of February, hundreds of students from fifteen cities turn their rooms into performing stages for the quirky acts of talented artists. Stukafest, the acronym for “studentenkamerfestival” which means student room festival, creates an informal setting in which the audience becomes closer to the artists; so close you’ll wonder what fragrance they’re wearing. 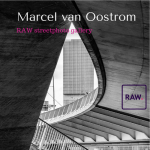 extraordinary Rotterdam-themed edition. The artists are born, raised or currently live in Rotterdam. After the last round of performances, we’re going to dance our asses off at the afterparty of the year @WORM! What about the artists that just rocked your world? Bring them along! Dancing gives you strength and energy; it is good for your body and mind as it allows emotional expression. Colombian Salsa is distinguished through steps, rhythms, and acrobatics — it’s strenuous, and at the same time relaxing and fun to do! Experienced dance teacher, Cesar Lopez, born and raised in Bogotá, Colombia, will introduce you into the world of Bachata, Salsa en Linea, Salsa Colombiana, and Mambo. 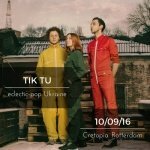 Make your own special mix of acts (3), and buy your tickets online at https://shop.ikbenaanwezig.nl/tickets/event/stukafest-rotterdam-16-02-2017. Tickets will be sold online through our website. While buying tickets, you can pick your own selection of acts and compose your own personal Stukafest programme. Make sure to buy your tickets early, some performances might sell out quickly.